Mike Garcia brings over thirty-seven years of experience in the entertainment, concert promotion and venue management industries. Garcia is a Certified Facility Executive (CFE), recognized by the International Association of Venue Managers (IAVM) as a top executive possessing the skills to manage venues of all types and sizes, including arenas, amphitheaters, theaters and stadiums. He holds advanced certifications in Labor Management, Collective Bargaining and Executive Management from Cornell University. In addition to his responsibilities at the USC Thornton School of Music, Garcia performs extensive industry related work as President and Founder of Redpoint Consulting Group. Redpoint specializes in advising clients in all aspects of live music and entertainment including: venue management, collective bargaining, request for proposal creation and response, and concert promotion and touring. Redpoint’s clients include: Live Nation Entertainment, Nederlander Concerts, Shrine Auditorium (Los Angeles), Paramount Theatre (Oakland), Orange County Fairgrounds (Pacific Amphitheatre) and the Mountain Winery (Saratoga). Garcia recently held positions at USC as the Executive Director of Strategic Planning and Director of Business Development for the Los Angeles Memorial Coliseum and the Los Angeles Sports Arena, assisting USC in transitioning those facilities from public management to University management. 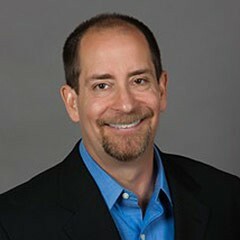 Prior to founding Redpoint, Garcia served as the Senior Vice President / Chief Operating Officer for Live Nation where he was responsible for overseeing the daily operations of 17 venues throughout the western United States ranging from 200 capacity comedy clubs to 50,000 capacity amphitheaters. Before accepting a position with Live Nation, he was the General Manager for Nederlander Concerts and the award-winning Greek Theatre in Los Angeles; Director of Facilities at the Target Center Arena in Minneapolis, MN; and Theatre Manager of the Pacific Amphitheatre, in Costa Mesa, CA. Garcia started his career in the concert industry working for legendary San Francisco concert promoter Bill Graham, where he was on the development and building teams for both the Cal Expo Amphitheatre in Sacramento, CA and Shoreline Amphitheatre (capacity 18,000) in Mountain View, CA.